The fact that my blog has been silent for nearly a year, and the last entry was related to a boarding pass guffaw, can mean only one thing: I have been travelling much less this year, trying very hard to stay home and minimize the tassel of loose ends that weigh on me like a ball and chain. Say no more often and time still gets filled up, but perhaps with things more close to heart. Any updates worth mentioning? I am happy to report that I have surpassed the state of techno-illiteracy illustrated in the last entry. 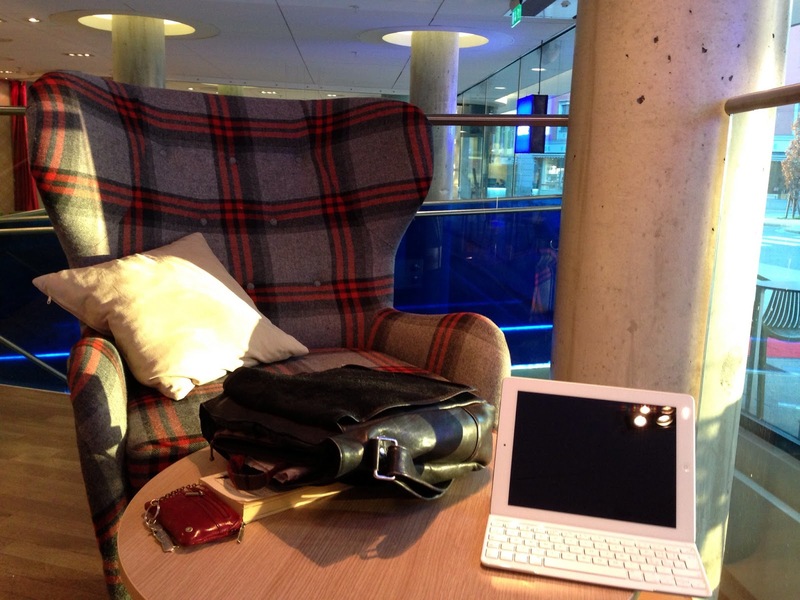 I am in Oslo as I write this, and arrived here by means of a digital boarding card with no mishap. Two elements contributed to that small feat, downloading of the SAS and Passbook apps and a recent purchase of new glasses. The apps may have been downloaded before, quite likely they were, but I could never see what I was doing, and my smartphone was not smart enough or willing to help. It was probably miffed after suffering the abuse of my half-blindness, such as being inadvertently programmed with a reverse negative screen and voice activation, or having the music start blaring when I try to put it in airplane mode. Besides newfound functionality of my cell phone, my glasses have made me an all around better person. I am much more useful, for example, in the grocery store and have actually brought home useful items that I just happened to NOTICE as I roamed the aisles. One trait I have always admired in Veronica is her propensity for finding new and interesting just-on-the-market foodstuffs. Now I realize that maybe she was just able to SEE. Let’s see, what else has happened in the interim between this trip and the last… school happened, as it tends to do each autumn, and most writing and thinking efforts are consumed by it. I have just never fit blogging into my regular school-bound routine. There is something about the situation of travel, of being alone in an airport that awakens the blogger in me. Yet, no denying I have grown stale as a blogger; just witness the fact that I am only writing this on my return trip. What did I write on my trip down? Well, in fact, a novel query. And after that I started drafting my newspaper column that is due Monday. So why did I abandon the column to start writing this? My inner-blogger was awakened by running into one of my co-authors in Oslo. The last time I saw her was a year ago on our whirlwind tour of Southern Norway with our new textbook, Tracks. “Your blog’s been rather inactive lately,” Silje said. I was impressed that she knew – does she actually subscribe? Do I have a regular reader? I brush off the blog and tell her I started twittering – as writer (@rasmahaidri) and teacher (@rasmateaching). I have also started a sort-of-teaching-blog (rasmateaching.wordpress). I put in a few poems a year at Whole in the Head (rasmahaidri.wordpress). I guess I just fell out of the habit, I tell her. Now if there is one thing I do not want Google to say about me, it’s that I – no, make that my voice is dead. Once in a while it is good to be reminded of a simple truth: if you are a writer there better be a pretty good reason you are not writing…. such as personal funeral. Otherwise, get with it. You do have something to say. And if you don’t — write anyway. Writing is never about knowing what you have to say. The writing is the thing. The means and the end. Thanks Silje, this one’s for you. This entry was posted on 24/05/2014 by Rasma Haidri in Uncategorized and tagged Uncategorized.